The MS-80B Portable Desktop is one of the top selling calculators in the USA. 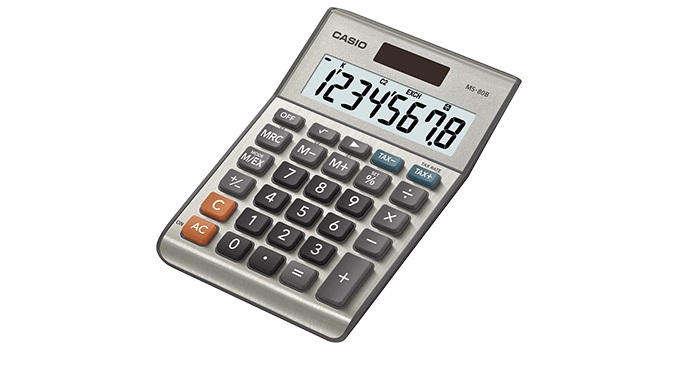 This easy to use calculator takes up little space on your desktop and fits easily into your briefcase or desk drawer. Easy to read large 8 digit display. This general purpose desktop calculator is perfect for home or office. Solar Plus power works even in dim light.